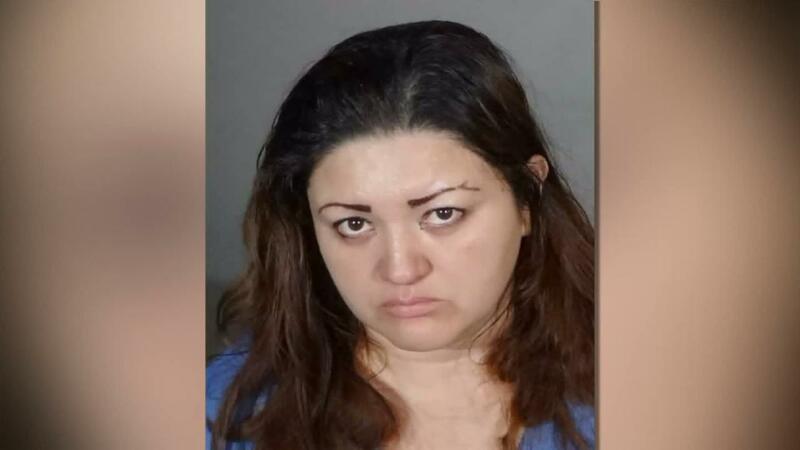 (KTLA) -- A 39-year-old mother was arrested in connection with the death of her son on Tuesday, according to the Los Angeles Police Department. Veronica Aguilar is accused of child endangerment resulting in death, police said. Rampart Patrol officers were called to a home in the 2100 block of Santa Ynez Street around 2:15 p.m. on Monday. When officers arrived Jose Pinzon, Aguilar's husband, said that his wife told him that her 11-year-old son was dead. Pinzon lead the officers to the boy's body, which was wrapped in a blanket in a closet in the home, according to police. Paramedics were called to the scene but it was too late to save the boy, according to the Los Angeles Fire Department. An initial investigation revealed that the victim suffered from signs of malnutrition and physical abuse, according to police. Officials believe the boy had been dead for a few hours before police arrived. The cause of death is unknown pending results from the Coroner's office. Police are trying locate the boy's biological father. Anyone with information is asked to call the LAPD Abused Child Section at 213-486-0586. Anonymous tipsters can call Crime Stoppers at 800-222-TIPS.